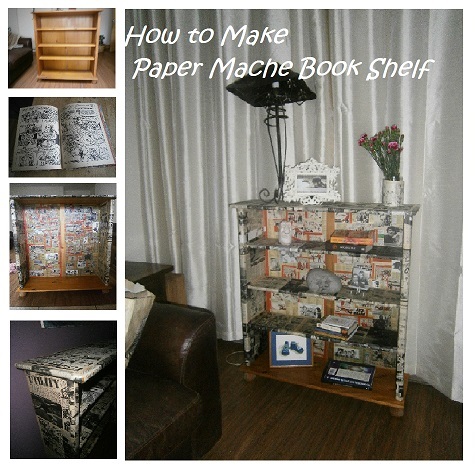 Are you a fan of repurposed furniture, want to know how to do paper mache book shelf ? I have this book shelf for many years, in fact it was in the shed. It needed a face lift, doing paper mache is one of the fastest ways to transform and give new life. 1. Cut pages from annual. 2. Mix wall paper paste as per instruction on packet. 3. Add paper to basin with paste to soak for 5 mins. 4. Place soaked pages on book shelves. 5. Keep addin pages until book case covered. replace when bookcase is covered. Add books, frames and lamp. Finished..
Hope you are inspired, paint, papering, and paper mache will achieve stunning results, let your imagination run wild. Other items that would look great are bed side lockers, cover old kitchen units wilth cook books. 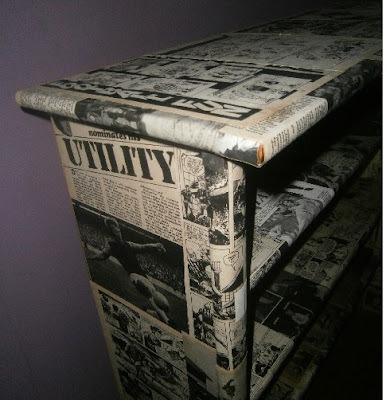 Kitchen chairs, tables, look on gumtree for people giving away furniture and then transform it. 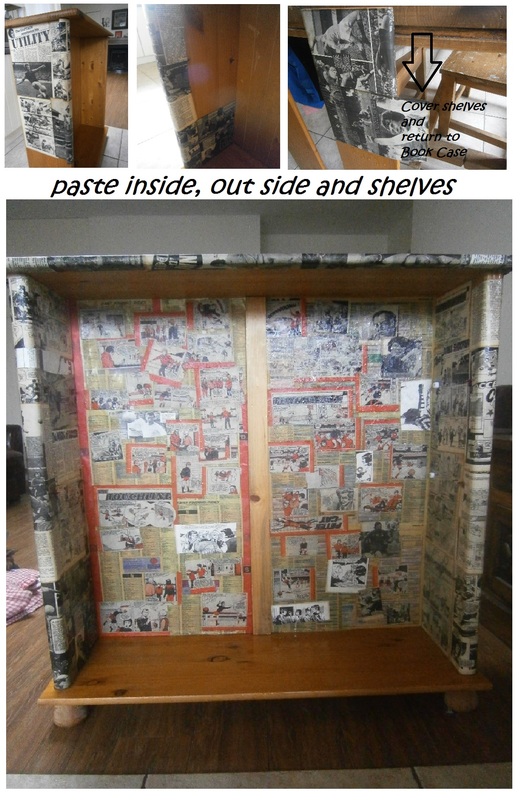 Comic books, magazines, foot ball books, cars, tailor make items as gifts. the options are endless and the time flies when you are busy giving new life to old items. 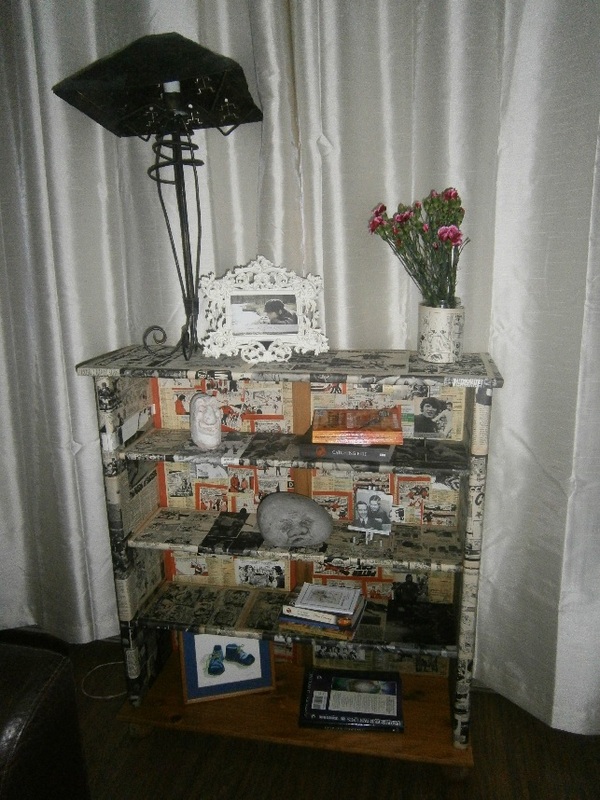 How To Do Decoupage, 2nd Interview With Claire.